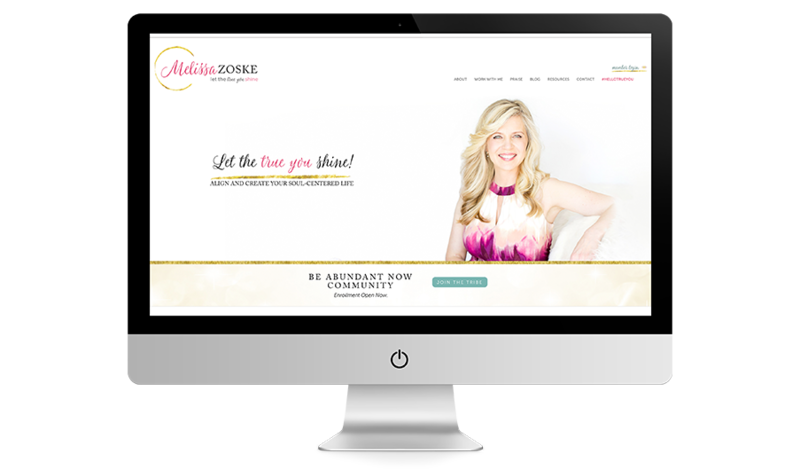 Designing a website and brand identity for the lovely Melissa Zoske was as enjoyable as you might think, looking at her kind smile and the bright colours we used to highlight her brand. Melissa brings a lot of wonderful energy to her work, and I feel like that all shows really clearly in our work together. We opted for bright photos, a cheerful but also sophististicated colour palette of warm pinks, teals and whites and off-whites, and the occasional gold flourish for fun.